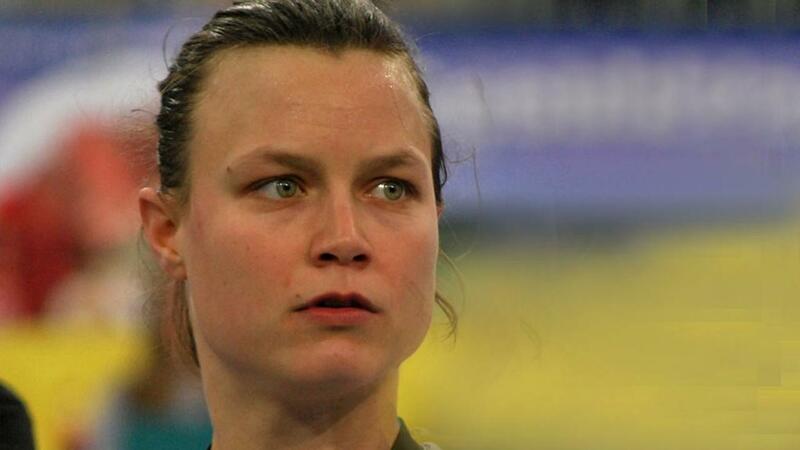 Note to Coaches: As you've probably noticed already, sometimes your athletes need to hear a different voice than yours; and who better than an Olympian? We asked Olympic Silver Medalist, Courtney Thompson, to share her perspective on fighting fatigue in athletic performance. Share her message with your team, and read all the way to the end of the blog for another actionable tool to drive these principles home. Most of us respond to fatigue by getting frustrated and feeling bad for ourselves. We let our fatigue take us out of our game and into a mindset that isn't helpful to us or our team. #1: It’s not about you, so get over it. The fact of the matter is you play a team game, even if it’s an individual sport, and as a teammate one of your jobs is to serve your team, to do whatever it takes to make the team better. Doing so requires selflessness and a commitment every single day you show up. If you’re tired, if you’re sore, if you’re sick, you have to choose to not let that stop you and move past it. In that moment, it doesn’t matter how you ‘feel’ because it’s not about you; it’s about making the team the best it can be. In order to do that you have to show up every day with the intention of giving it everything you have. Put the team ahead of your ‘feelings’ and get it done! #2: All champions experience fatigue when pushing their limits. So feel it and embrace it… Fatigue means you’re on your way! As athletes, we’re in a perpetual state of becoming. There is no finish line; even if you win the championship one year, your training for the next year will quickly follow. The only way to truly improve, learn, and take your game to the next level is to push the limits. Pushing the limits can be physically, mentally, and/or emotionally tough, but that’s the beauty of sports! Pushing those limits on a daily basis is necessary in order to become the best version of you. It’s inevitable that in pursuit of your best YOU, you’re going to get tired, so change your attitude towards fatigue. When you feel tired and want to stay in bed—or just want to get through practice without giving it your all—remember that this is what you work for, this is what all champions feel when they’re trying to reach their full potential. In short: embrace your fatigue. No one said success would be easy. #3: Your mind is incredibly powerful. Use it to help you! You train the brain to perform just like you train your muscles. We’ve all had days where you feel more tired than usual and in that moment you have a choice: you can marinate in those negative thoughts (‘It’s too hard’, ‘There’s no way I can do this’, ‘I didn’t sleep at all’, ‘I’m not feeling my best’, et cetera) OR you can take a long, deep breath, reconnect with yourself, and get your mind right. You can choose to put your energy and your thoughts on something that will help you rather than something that will distract you. You’re an athlete. Being tired is a part of that, so accept it and move on. Choose to think about what you need to do to help the team in that moment. #4: Your mission doesn't care if you’re tired. The mission of your team doesn't hear anyone say they’re tired… and it doesn't go away. Either you move towards it or away from it with each day you train. So, when it gets hard, remember the mission and find inspiration wherever you can. For some people, this is accomplished by visualizing winning a championship every morning, or by listening to their favorite pump up song, or by watching a video of their favorite teams competing. Find what works for you and use it. For me, I try to ‘empty the tank’ every day I compete. I want to go to bed at night knowing I did everything I could possibly do to help my team reach our mission. Again, it’s not always easy (and it shouldn’t be), so on days when it’s hard to remember the end goal, take a few minutes to visualize that goal—see, taste, smell, hear, and feel what it would feel like to reach it. Then, get to work! Find inspiration wherever you can and do everything in your power to become your best until the mission is accomplished. #5: We won’t always feel 100% in a game. Train yourself to be ready for those days. It’s unrealistic to think that we’re going to feel awesome all the time. You might have a cold; you might have stayed up all night studying for finals; you might have had to get up early to finish reading that book for class. Whatever ‘it’ is, we’ve all been there! The real competition in sports and in life is competing with yourself to bring your personal best, day in and day out. It is unrealistic to think we will perform feeling 100% all the time. On the days you’re feeling like you’re operating at about 80%, you still need to compete to bring your best on that day. That’s all we can do. If you spend time worrying about the fact that you’re not at 100%, those thoughts are just distracting you from maximizing what you do have, your 80%. Therefore, work hard to bring YOUR BEST every single day. Try not to judge where that is, but rather keep fighting the good fight by working to bring your best one play at a time. #6: Check that your behaviors are in line with your objectives. The pursuit of becoming your best is hard. Again, no one said it would be easy. People often look at an athlete who wins a championship and think that getting there must have all been fun, happy, and maybe even comfortable. Get that out of your head. It’s not. Trying to reach your full potential takes grit, determination, commitment, perspective, and resilience. It may be easy to say that you want to be the best when everything is going well, but the real question is will your behavior be in line with those goals when it gets hard? It’s hard when it’s 6 AM and you have to get up for weight training, or when it’s a Friday afternoon and you’d rather leave practice early than to get extra reps in on the skill you’ve been struggling with. It’s difficult when it’s already been a long day, but now you need to have a tough conversation with a teammate. Those are the real choices we have and make that determine how good we will become. Don’t take the easy road. If you want to do something rare, you’re going to have to make choices that most people aren’t willing to make. That’s why winning feels so good when we’ve done it the right way. #7: Mood follows action. Start little, and keep going. We’re human. Some days we just wake up tired, annoyed, and distracted. Still, you don’t have to be subject to your mood every morning. From the start of a rough day, act in line with your goals—make just one small step—and you’ll gather momentum and come to realize you’re actually in control of your mood and your day. Then take one more small step, then another, and another. At some point your ‘mood’ will change as you involve yourself in each step, each task. You’ll realize that being productive and working to help yourself is a fun and rewarding process. #8: Remember: the pain of not going all out is much bigger than the pain of holding back. Being a member of a team composed of people committed to becoming their best, and hopefully doing something special in the process, is an incredible thing. I’m fortunate to have been on teams that have won several championships; in high school, in the NCAA, and recently at the World Championships with Team USA. I’ve also lost my share of big games at every level. What I've learned is that at some point the high of winning and the sting of losing will wear off, and the real joy comes from knowing you exhausted every possibility to help your team reach its goals and whether or not you and your team were good teammates along the way. Did you overcome failures together and push each other to work hard when it wasn’t easy? Did you enjoy the successes but continue to push each other to reach new limits? These are the things that bring true satisfaction and fatigue is only one challenge of many along this road to success. When fatigue pops up, help each other through it because, in the end, it’s in overcoming the challenges that ultimately leads you to become the best you can be. "Far and away the best prize that life offers is the chance to work hard at work worth doing." - Teddy Roosevelt. Join the hundreds of coaches that are using the BRAVR method, for better, more productive practices. Click the link to get started with this simple exercise you can do with your athletes before practice to get them in the right mental space to achieve high performance. 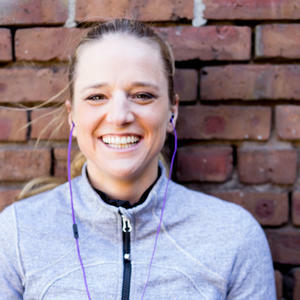 As the Co-Founder and product guru for Positive Performance, Lindsey works with athletes and coaches to unlock player and team potential through mental performance training. The Positive Performance Training Coaches Only Facebook Group is a place for athletic coaches only. This group is 100% free and private! Are You Meant To Be A Mindset Coach? I've spent 10 years as a mindset coach. And I've learned a TON (made a ton of mistakes as well) building up a 6 figure a year business. 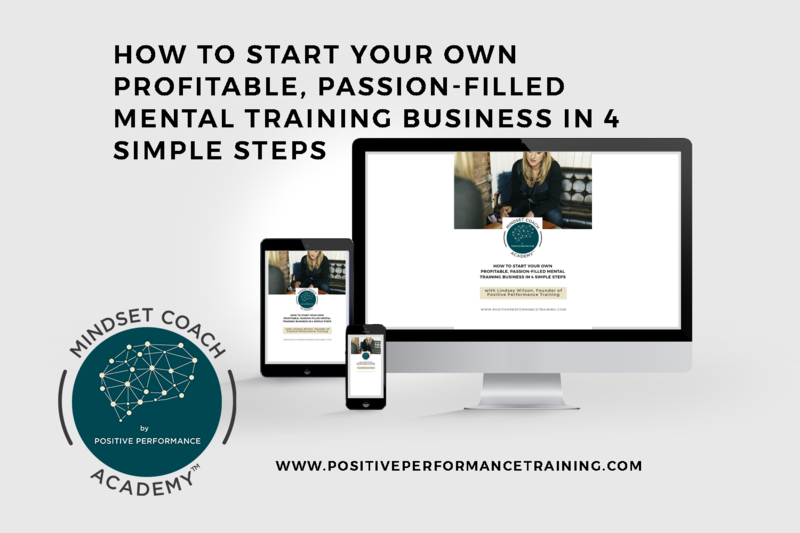 In this guide, get my behind the scenes steps on how to start or build your profitable, passion filled business.